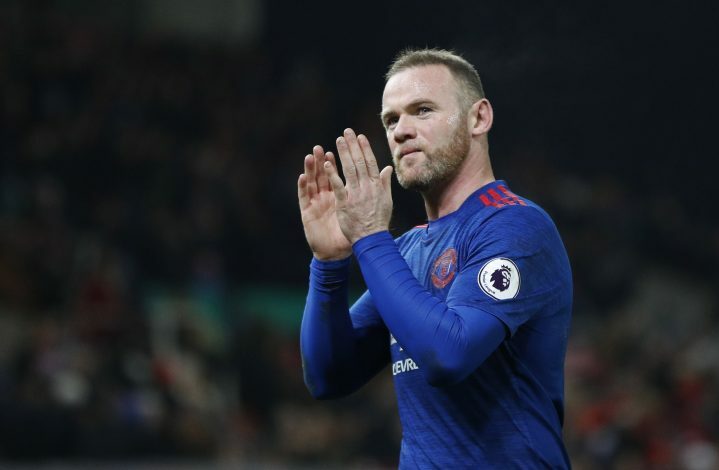 It is a sad time for the old and faithful set of Manchester United supporters, as the day of exit for their club captain, Wayne Rooney, has finally arrived. The player has seen a decline in his form in the season gone by, and at the age of 31, this seems like the perfect time for him to say goodbye. 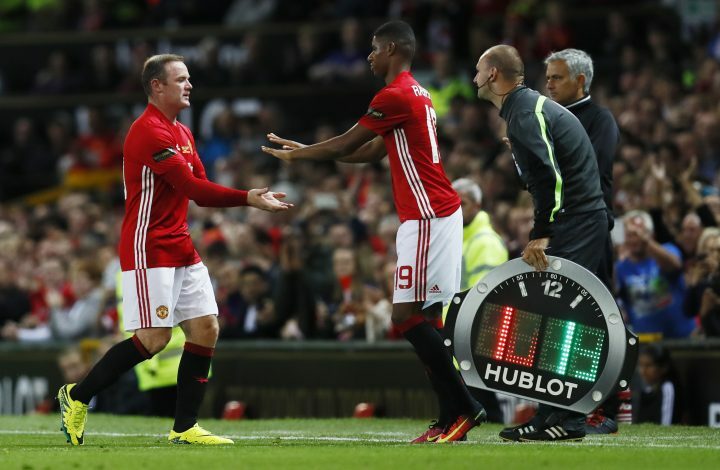 The striker has gained respect from Jose Mourinho, and was allowed to keep his captaincy, but that was not enough to save him from being benched every week. The Portuguese boss clearly did not prefer starting Rooney in the matches that mattered, and hence, is not coming in the way of the player leaving the club. Being one of the best players wearing the red jersey in the decade gone by, there surely would have been many options for him to go to, but boyhood club Everton came out as the number one spot. A deal is almost said to be done with medicals being completed, and the blue half of Merseyside could well have their local hero back at the club after seeing him depart in 2004, as an 18-year-old hungry lad waiting to be the best. There is one thing being a captain of a club, and then there is being captain of Manchester United after having earned it through hard work and determination. 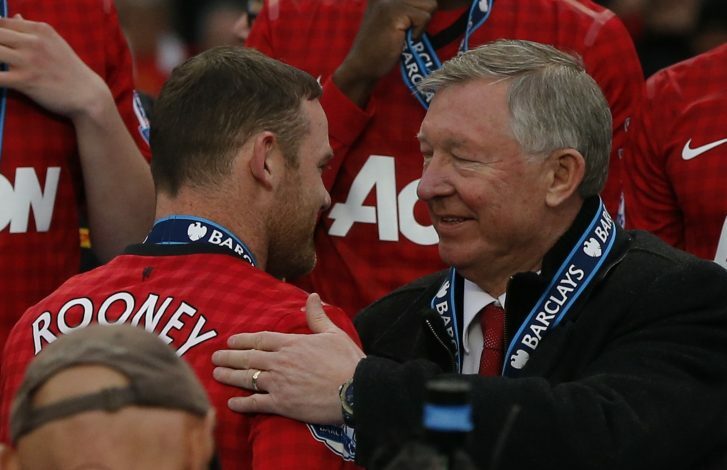 Rooney has been at the club since 2004, and since day one, he has worn his heart on his sleeves. Be it friendlies or cup finals, the player has always matched fire with fire and never backed down from any opposition and its threats. 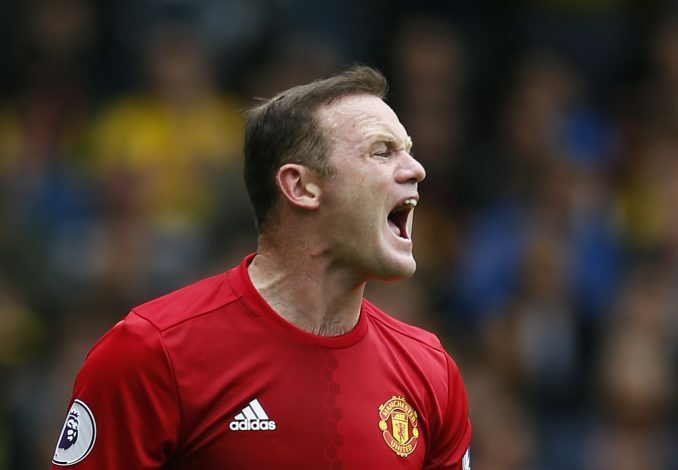 Staring the rival player in the eye, getting into the referee’s face for every decision and running till the final whistle does not blow, Rooney always did things that kept the fans behind him, and made his fellow players look up to him as a leader. His presence at Old Trafford will not be missed as only a goal-getter, but also as a leader that modern football just does not seem to produce anymore. The player has been with the club since his teenage days, and in a span ranging upto 13 years, he has played with the greatest there were to play with. He was brought in as a striker to score goals, and despite doing that in abundance, he was more often than not a support system to help someone else take the spotlight. Be it playing alongside Dutch superstars like Ruud Van Nistelrooy and Robin Van Persie at extreme ends of his United career, or assisting fellow strikers like Carlos Tevez, Dimitar Berbatov, Louis Saha and so on, Rooney was always there to play the role of the provider. He formed lethal partnerships with everyone that came to the club, and that proved the selfless team player he had always been. The highlight of this attribute was seen during his glory days with Cristiano Ronaldo, when the duo were the most lethal pairing in the world. The Portuguese always stole the show, while the Englishman secretly set it all up. Given that almost every new player coming up the ranks is able to play in positions more than one, there will be few and far between who will do it the way Rooney did. The Englishman started as a striker, and landed up playing all over the park when the team needed it. Without two thoughts, the player would slide into any of the wing positions, and give the job of leading the attacking line to someone the manager preferred. Sir Alex Ferguson also saw the number 10 fit perfectly into a midfield role at the club, and with his abilities of winning the ball back and passing it accurately over 50 yards, that was the position he soon started taking up regularly. How impressive is it that he achieved all ground breaking stats and records by playing in so many different places all over the park, one will never be able to accurately emphasise. In today’s time and age, winning trophies simply depends on the money a club spends and the kind of players it attracts. Things were slightly different when Wayne joined Manchester United, as every medal was earned through the team gelling together as a cohesive unbreakable unit and working their way to the top. If there was one quality that stood out about the striker, it was that he wanted to win, always. 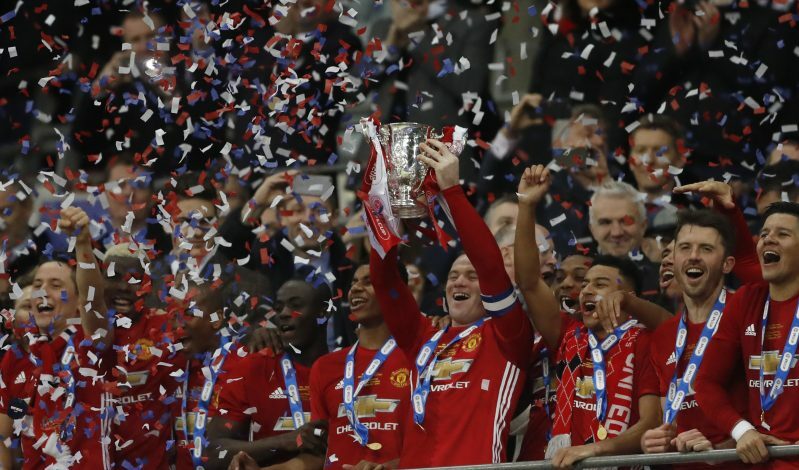 Be it European or domestic titles, Rooney always had an eye out for the prize, and his hunger was highly influential in driving the team towards it. Not many players stay a club and win over a dozen trophies, but he managed to do so with 5 Premier League titles, a Champions League and Europa League title each, 1 FA Cup win, 4 EFL Cup wins, 1 Fifa Club World Cup, and 5 Community Shields – all part of his illustrious trophy cabinet. Besides these, he also gained countless personal achievements, which include him being the best player for the 2009/10 season. His goals might have dried up a bit towards the end, but he banged in more than enough before that to keep all critics shut forever. The player is not only England’s all-time leading goal-getter, but will also be leaving Old Trafford with 253 goals to his name, more than anybody has ever got for the club, and more than anybody is ever likely to get. He passed Sir Bobby Charlton in both places, and is at a level that is currently unreachable by anybody out there. Wayne Rooney has played with the best during his time as a Red Devil, the likes of Paul Scholes, Cristiano Ronaldo, Ryan Giggs, and Roy Keane being among a few, and has still managed to not only stay as a constant, but also come out as the best there ever has been. The iconic player will be leaving behind a legacy that will be almost impossible to replicate, and as all good things come to an end, this is as sad as they come. May the player shine in the Blue of Everton, but for the footballing world out there, he will always be a Red, no matter what!